Past my bedtime. I hosted book club tonight (Behind the beautiful forevers by Katherine Boo-we highly recommend). I made yellow potato curry and a red quinoa salad with roasted brussels sprouts and cauliflower. We had a great time discussing the book. Everyone left by a little after nine and I kicked it into high gear. My night was far from over. I cleaned up book club dishes while I started a pan of brownies. 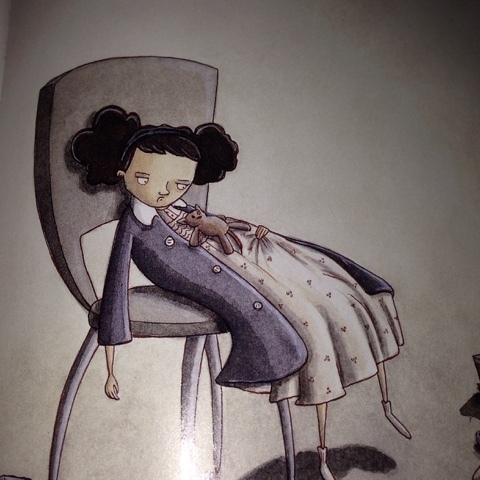 I would have liked to have gone to bed and read the book I started last night but I have a competition in the library for students to guess the connection of books in a hallway case. A class of 4th graders won and in return I host them in the library for a free hour of maker space fun. Of course tomorrow is their hour! I have Legos, crafts, UNO cards, book marks to create, and magna tiles to play with. I've hosted a few of these kid-friendly parties in the library and they seem to have a grand time. The first time I did this I made the class a treat. Not really thinking it through of course because now every class needs to have a treat. It just wouldn't be fair. So after book club I made these lunch lady brownies. They look delicious and the kiddos tomorrow at the end of the day will LOVE them. Red Shoes by Eleri Glass and Ashley Spires (2008) arrived on my doorstep one afternoon in the mail a few years back. This is something that happens to you as a book blogger-books just arrive. It is a welcome treat. I get to enjoy them over and over. I'm sure it came from the publisher or I won it on another blog; either way Groovy Girl and I sat down immediately and read it. This one is just about shoe shopping from a young girl's point of view. Her mother picks the sensible lace-ups but she wants the red ones. She scuffs around in the brown lace-ups but still has her heart set on the red ones. 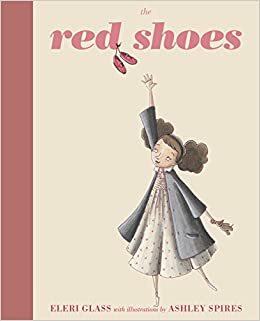 Simple text paired with beautiful illustrations make this a wonderful book for anyone who loves shoes, fashion, or children! It's just one small battle in the great scheme of parenting.